First of all, I want to thank everyone for all the sweet comments on the loss of Sherbert. We really appreciate all of your kind words. We are all still adjusting to our new normal. It has helped to have the distraction of integrating Squeaky into the furry family. We've had lots of screaming and some little cat fights, but everyone is starting to get along. There have been a few mishaps with Squeaky marking her territory (a.k.a. peeing on doors). Hopefully we get that worked out so she can stay inside. I post updates on all the cats on Instagram - make sure to follow along! 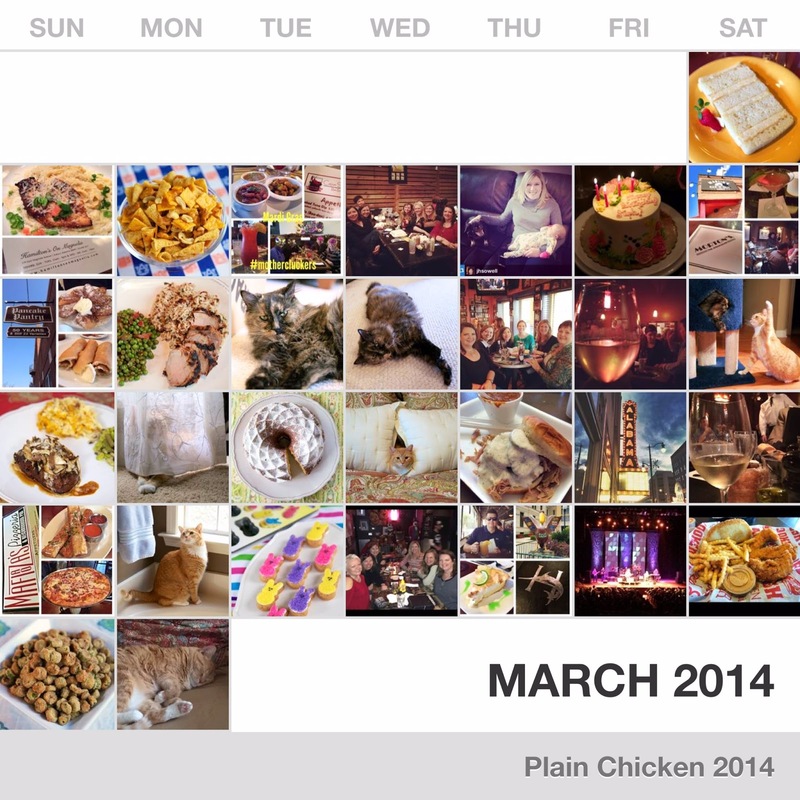 March was a jammed packed month. We took some quick trips, celebrated my birthday and our anniversary! I will be sharing photos from our anniversary trip over the next two weeks. Stay tuned! 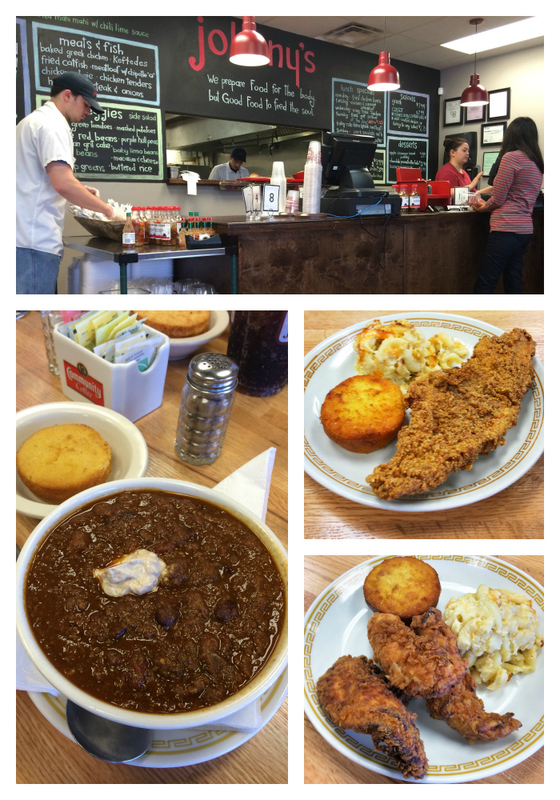 I have a new favorite lunch spot - Johnny's in Homewood. It is a meat and three type place. Johnny's isn't new; just recently new to me. I've eaten here several times, and I love it! I am addicted to their Brisket Chili! It is the best chili I've ever had. I took Chicken Legs for lunch. He got the catfish and I got chicken fingers. We're taking the cooking demo on the road! We are doing a cooking demo at the AllSouth Appliance Showroom in Huntsville, AL. My birthday was in March. We celebrated for an entire week! 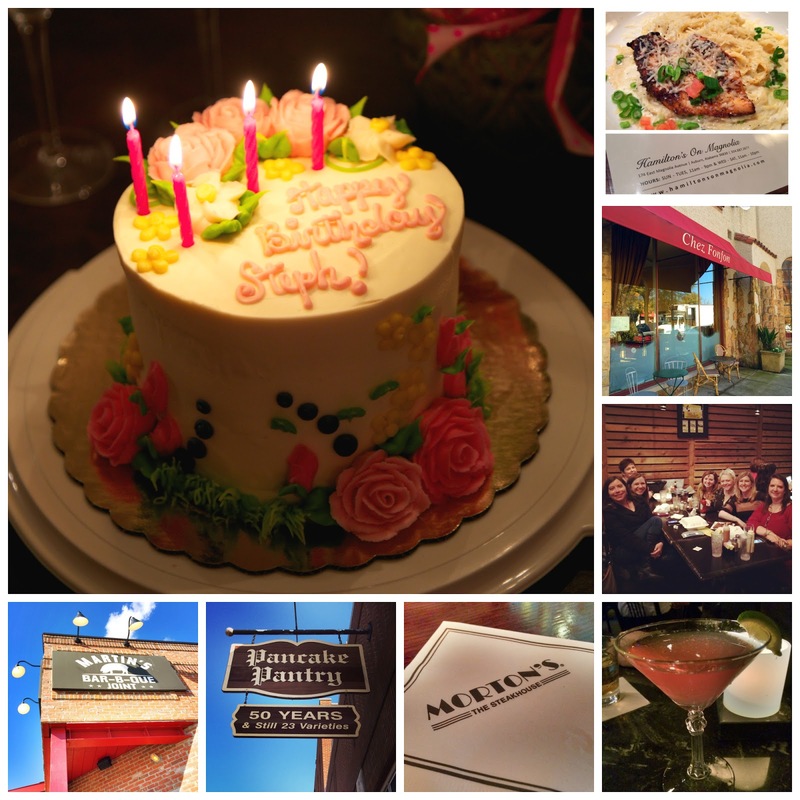 I had lunch with my parents in Auburn, dinner with my girlfriends in Birmingham, lunch at my favorite place (Chez Fonfon), and took a quick trip to Nashville. Chicken Legs got me a beautiful cake from Olexa's. It tasted amazing, as usual. It was the perfect birthday! 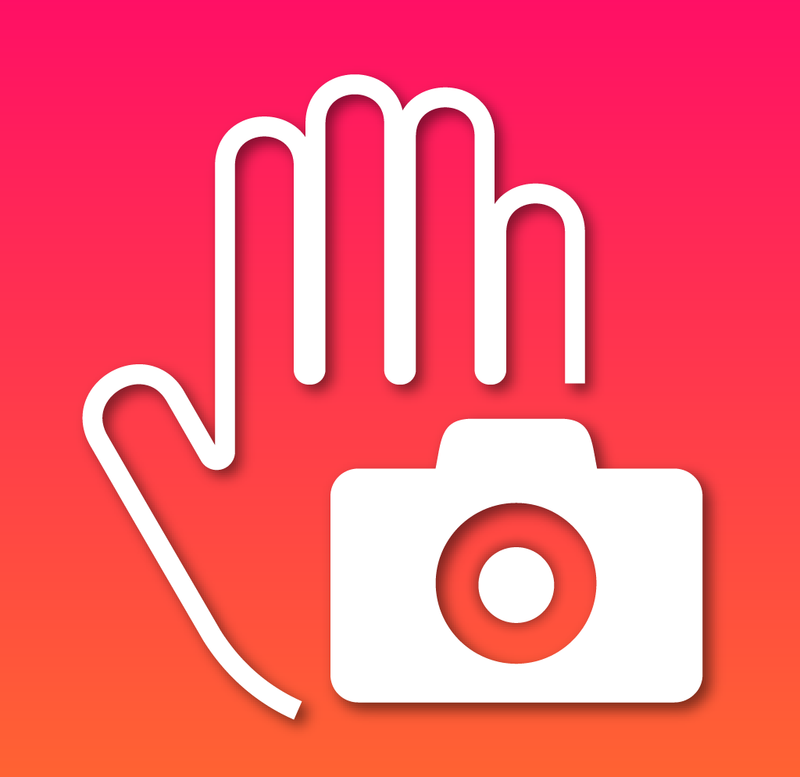 CamMe is a new hand-free camera app that lets you take great pictures from distance, without even touching your iPhone / iPad. Just raise your hand and smile – CamMe will do the rest! This app is SO cool! It will definitely come in handy when I go out for girls night; we can never figure out how to fit all of us in a selfie! Problem solved! 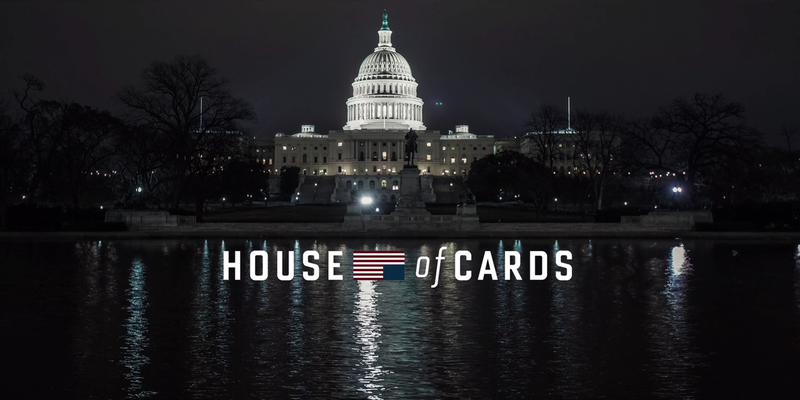 Have you watched House of Cards on Nextflix yet? OMG! We finally watched it and we are hooked. We watched both seasons in about 3 days. We are dying that we have to wait a full year for season 3. I like my wine super cold. I usually have to add ice to my glass to get it to the temperature I like. These wine glasses keep my wine nice and cold without ice. 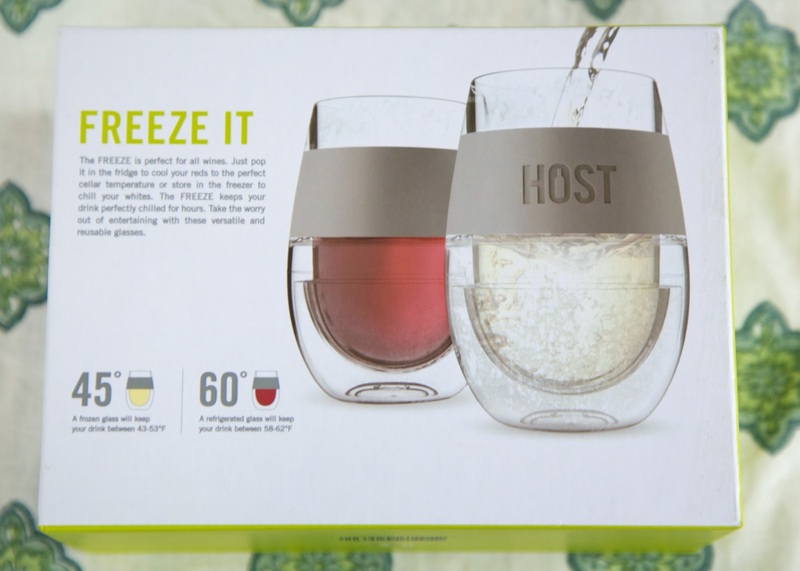 They have a cooling gel in the bottom that keeps the wine cold for hours. There is a rubber grip that keeps your hand from getting cold. Love it! Pop these in the freezer for white wine or keep in the fridge for red wine. You can get these awesome wine glasses on Amazon. I found this Peeps pan at Michael's. I love it! Just add about 1 1/2 tsp of cookie dough to each cavity and bake about 8-9 minutes. Frost the cookies and press into colored sugar. I used a roll of refrigerated Pillsbury sugar cookie dough and a can of white frosting. 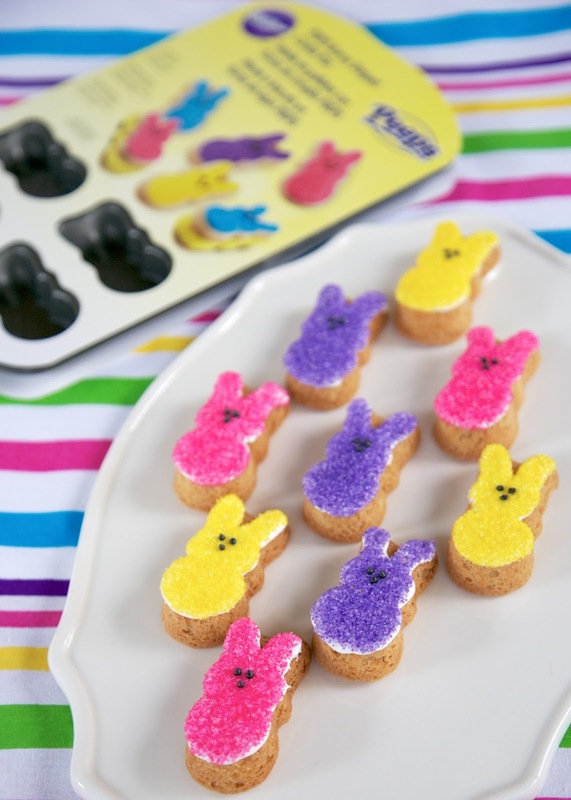 I found it was easier to pipe the icing on the bunny cookies rather than spread it on. I got the sugar at Michael's too. 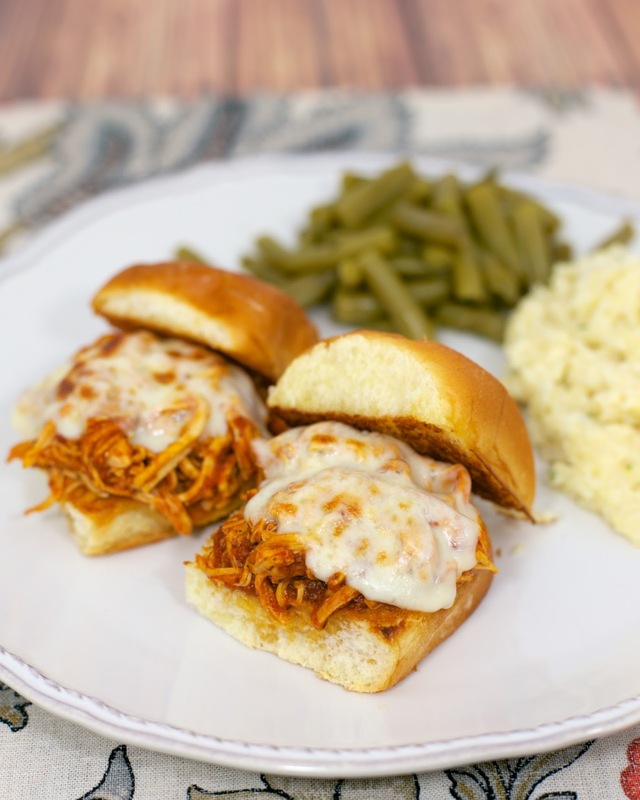 These Slow Cooker Chicken Parmesan Sliders are so easy and SOOOO delicious. If you haven't tried them, put them on your menu ASAP! I discovered IMproper Greetings in March. Improper Greetings is the brain child of Joellyn Beckham. She is a former advertising creative director who has done work for Martha Stewart Living, Oprah, Food & Wine, Vanity Fair, Southern Living and Coastal Living among others. In 2007, she was approached by a greeting card company to come on board and head up the product development team. She fell in love with the business and went out on her own last year. Inspired by her great aunts, Mamie and Tatie, Joellyn started Improper Greetings. Her aunts were both educated “ladies” and former 20s flappers who loved nothing more than raising a glass—and the occasional eyebrow with the with one of their wonderful off-color quips. Her hope is their humor lives on through the IMproper Greetings greeting cards, napkins, notepads. The napkins and notepads are my favorite. All of the notepads seem like they were designed especially for me. I love all the sayings!! The napkins are perfect for girls night or to give as gifts. 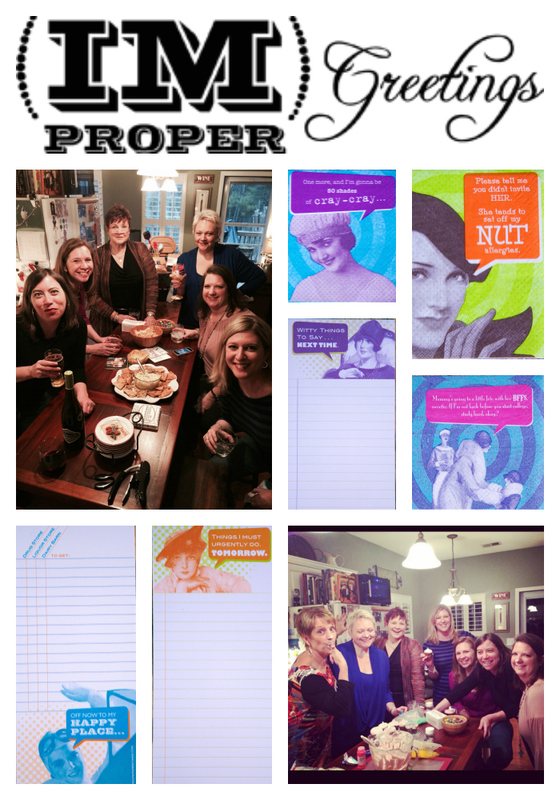 IMproper Greetings has an Etsy shop where you can buy the napkins, recipe cards and notepads. The greeting cards are only available in retail stores. IMproper Greetings is giving one lucky Plain Chicken Reader an amazing prize pack! You get the "mother load" of IMproper products! If you receive posts via email, the widget may not show up. Please come directly to the blog to enter the giveaway. The giveaway ends on Sunday, April 13, 2014 @ 11:59PM CDT. The winner will be contacted via email and has 48 hours to respond. If the winner does not respond, a new winner may be selected. Belated Happy Birthday! =) Looks like you had a wonderful time! Does Squeaky maybe have a UTI? I know my cat was peeing on blankets and I took her to the vet, they took a urine sample and found she had a severe urinary tract infection. Antibiotics cleared it up within a week and she hasn't had an issue since. I love this post! What a great roundup...and I can't wait to try CamMe with the MCs!